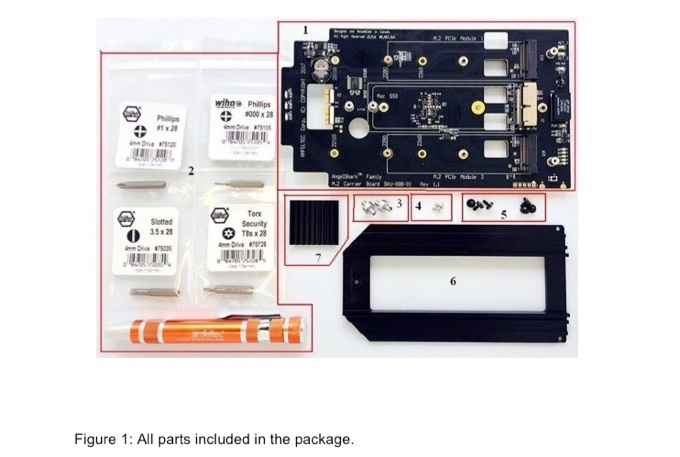 Mac Pro 2013にM.2 PCIe SSDを最大2枚追加できる変換ボード「AngelShark Carrier Board」が発売。 | AAPL Ch. CANADA, Markham, February 1, 2018 – Amfeltec Corporation’s AngelShark Internal M.2 PCIe SSD Carrier Board is the most versatile product of its kind on the market. 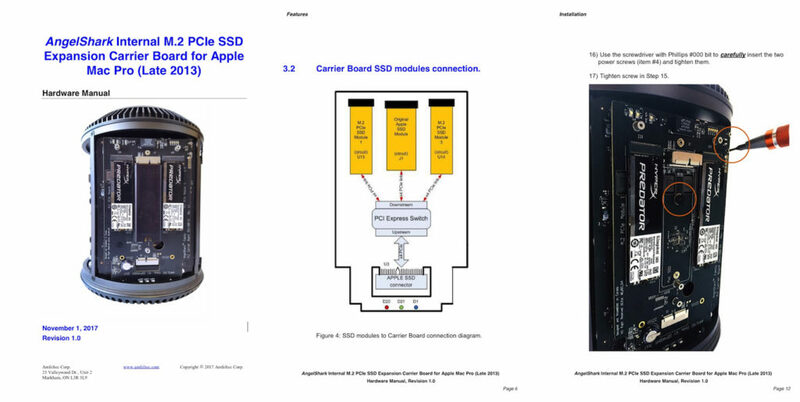 It allows Mac Pro (Late 2013) users to add one or two extra storage modules inside their Mac, while keeping the factory-installed storage as well (SSD module). 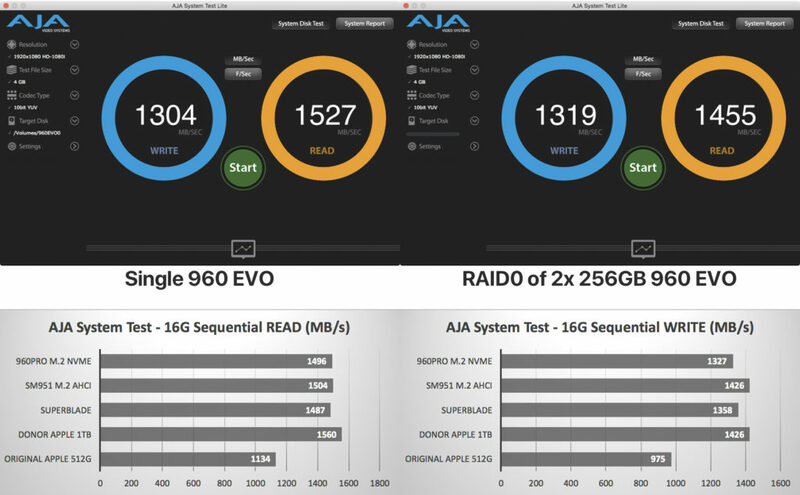 However, newer Apple proprietary and generic M.2 blades “hit the wall” at 1500MB/s when installed inside the 2013 Mac Pro. Why? Because its Gen 2.0 PCIe ‘pipeline’ is rated at x4 Link Width and 5.0 GT/s Link Speed. 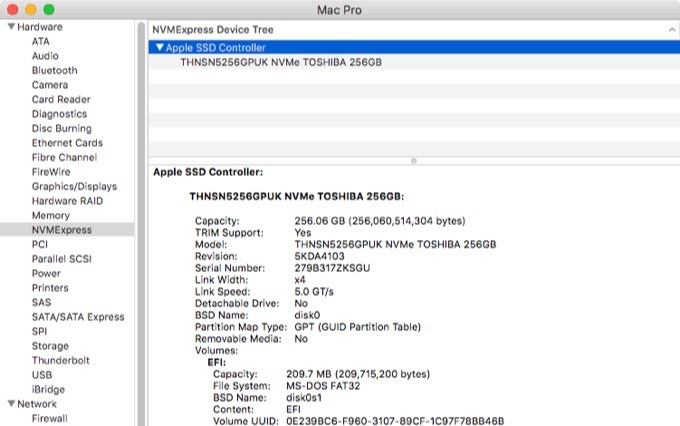 But at least with newest compatible flash blades, you can be assured of a 50% boost over the original 2013 Apple factory “XP941” blade.